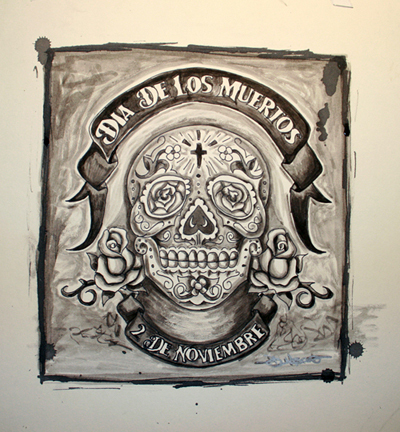 Original Dia de los Muertos watercolor painting by artist Job Moscot of Explicit Ink / Mala Suerte Compania. 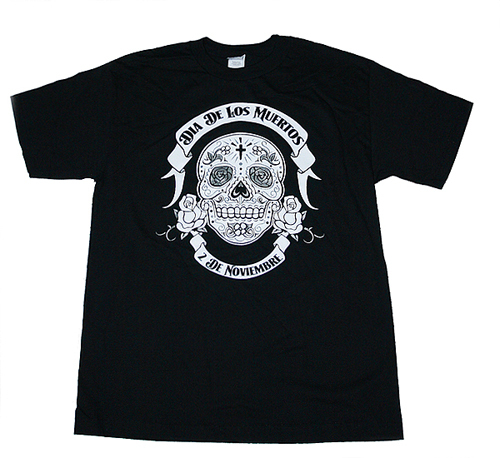 The �Dia de los Muertos� graphic tees designed by Mexican artist Job Moscot of Explicit Ink / Mala Suerte Compania are inspired by the spirit and culture of the Mexican-based �Dia de los Muertos� celebration. They�re available exclusively on BrownPride.com�s online store. The Mexican-based ritual of �Dia de los Muertos� (Day of the Dead) has been celebrated by the indigenous people of Mexico for hundreds of years. The holiday is observed on November 2nd. It�s a time to celebrate one�s ancestors that have passed away by creating elaborate altars and decorating them with sugar skulls, food, candles, incense, and other offerings. The gifts serve as ways to remember friends and family who are gone but never forgotten. 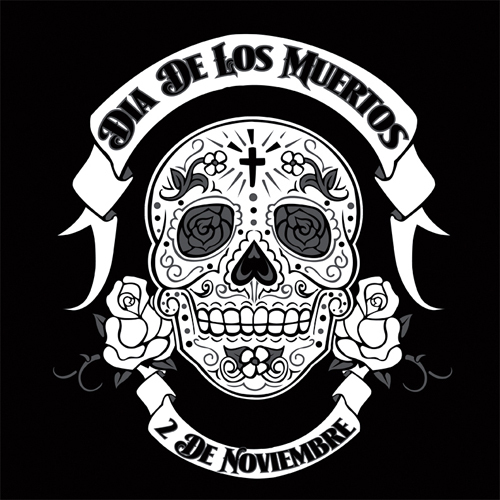 Shop Our Exclusive "Dia de los Muertos" designs by Job Moscot!